Almond cinnamon noats - paleo & vegan - NOURISH TO PERFORM. Oats have been a breakfast food for decades. As a lot of other people, I enjoyed oats in form of müsli and oatmeal for years. Due to my IBS and my grain intolerance, I had to give up oats and I actually started to enjoy savory breakfasts. 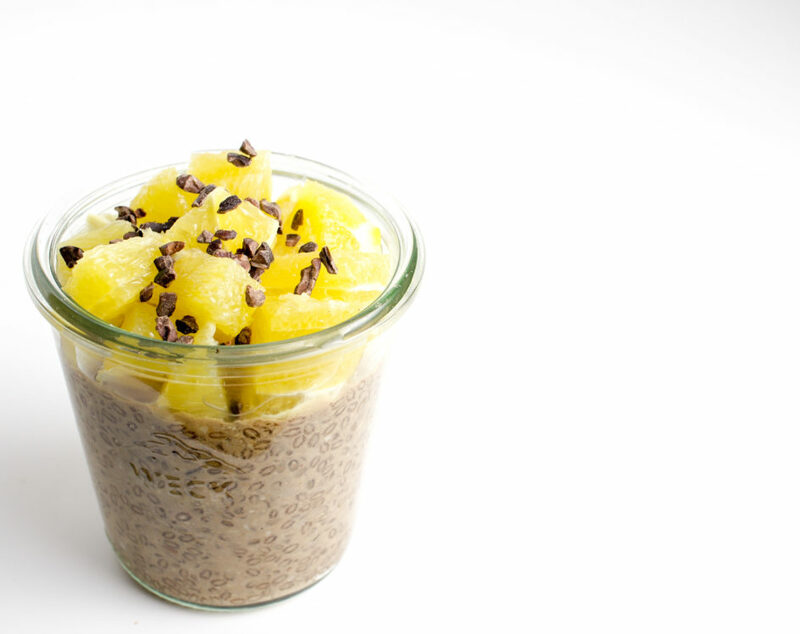 Nevertheless, especially overnight oats are a great thing to prepare ahead and quickly grab in the morning on the go. 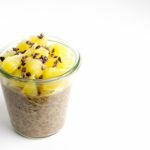 So I invented a paleo and vegan recipe for oats which I call noats because it doesn’t contain any oats or other grains. At the moment, I love adding juicy orange pieces and cacao nibs * on top. Combined with ceylon cinnamon * and almonds it is the perfect treat for a busy morning, to satisfy any sweet cravings and to fill you up for long. I also add in some maca * for my hormones and a bit of a caramelly hint but that is totally up to you. Just keep in mind to pack a spoon before rushing out the door! Mix all dry ingredients and then add almond milk and mix again. Depending on the products you use and what consistency you admire, you might have to add some extra liquid./Alle trockenen Zutaten vermengen und dann die Mandelmilch dazugeben und nochmals umrühren. Je nach den verwendeten Zutaten und nach gewünschter Konsistenz noch etwas mehr Flüssigkeit hinzugeben. Put in the fridge for at least an hour to soak the psyllium husk./Für mindestens eine Stunde in den Kühlschrank geben, damit die Noats quellen können. Pingback: Apple pumpkin noatmeal - paleo & vegan - NOURISH TO PERFORM. PERFORM TO FEEL GOOD.